We have worked with a number of commissioners during the research period and since our launch in April 2016, you’ll find information about some of our studies below, and feedback from a few different commissioners on their experiences and how they used the results. “The more I read about QuIP, the more I thought it would really fit with what we were looking for. It promised a rigorous approach to qualitative work for practitioners whose programming just doesn’t lend itself to quantitative assessment. I liked that QuIP bridged the gap between certain quantitative methodologies and the more qualitative lens we needed to use for this programme. QuIP offered an interesting combination of some of those principles, by adding in both attribution analysis and blindfolding, which added a unique and robust dimension to a qualitative approach. SHA, Malawi: Evaluation of a groundnut value chain project for Self Help Africa in Central Malawi. Two separate QuIP studies conducted in 2014 and 2015 as part of the ART project. You can view the full report here. SHA, Malawi: Evaluation of a climate change resilience project for Self Help Africa in Central Malawi. Two separate QuIP studies conducted in 2014 and 2015 as part of the ART project. SHA, Ethiopia: Evaluation of a malt barley value chain project for Self Help Africa in Southern Ethiopia. Two separate QuIP studies conducted in 2014 and 2015 as part of the ART project. You can view the full report here. SHA, Kenya: Post project QuIP impact study of the Gorta Self-Help Africa Community Based Seed Systems Project in Western Kenya. 24 interviews and 4 focus group discussions across six farmer’s groups and two counties. Carried out by BSDR between February-April 2016. SHA, Zambia: Evaluation of the Irish Aid Local Development Programme in Zambia. 48 interviews and 8 focus groups across various farmer’s groups in two districts. Carried out by BSDR between May-June 2017. SHA, Burkina Faso: Evaluation of Bill and Melinda Gates Foundation project, ‘Realising Agricultural Productivity Gains’. 24 interviews and 4 focus groups. Carried out by BSDR between October-December 2017. Farm Africa, Ethiopia: Evaluation of a climate change resilient livelihoods project for Farm Africa in Northern Ethiopia. Two separate QuIP studies conducted in 2014 and 2015 as part of the ART project. Oxfam GB, Ethiopia: Post-project QuIP study assessing the impact of Oxfam‘s Coffee Value Chain project on women’s empowerment in Jimmu Zone, Oromia Region – complementing a quasi-experimental impact assessment. 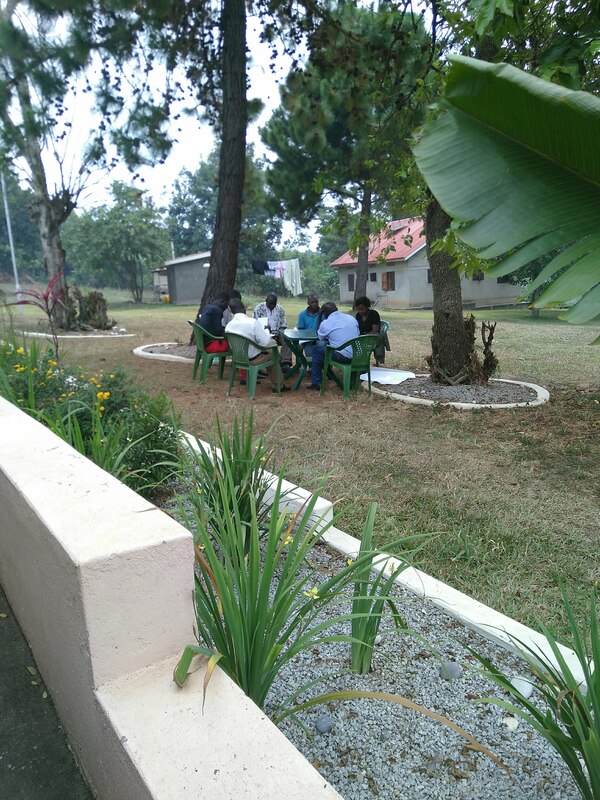 48 interviews and 8 focus group discussions across six coffee cooperative groups. Carried out by BSDR between April-July 2016. You can read Oxfam’s review of the two evaluations here. Diageo, Ethiopia: ‘Deep dive’ impact study of Diageo’s programme to support smallholder barley producers in two Zones of Oromia Region. 48 interviews and 8 focus groups across two farmer’s groups in each Zone. Carried out by BSDR between July-Sep 2016. Diageo have shared their summary of the report here. Diageo, Uganda: Impact study of Impact study of Diageo’s programme to support smallholder sorghum and cassava producers in two districts in Uganda. 48 interviews and 8 focus groups across various farmer’s groups in each district. Carried out by BSDR between June-August 2017. Acumen, India: Development of a ‘Lean’ approach to the QuIP for Acumen, using telephone interviews to assess the impact of a social impact investment project with a dairy company in Kerala. Carried out by BSDR in Oct 2016. Acumen, India: Support for a ‘Lean’ QuIP using telephone interviews to assess the impact of a vocational training programme. Carried out by BSDR in July-August 2017. 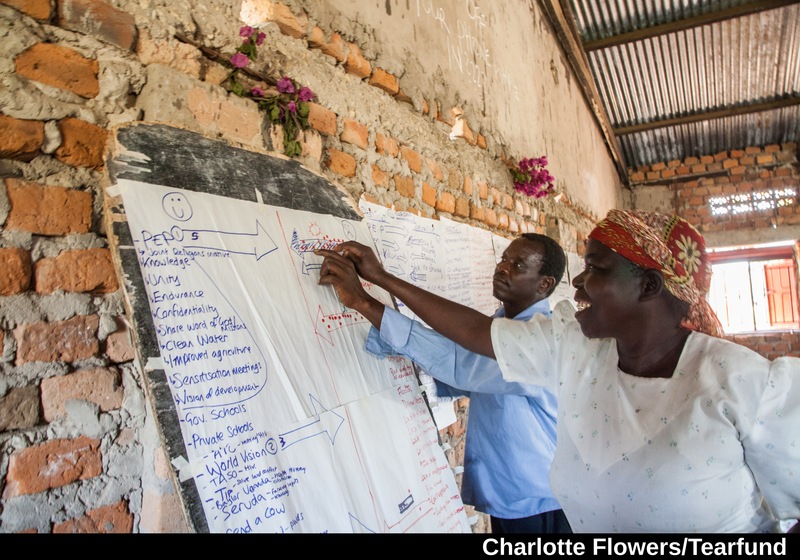 Tearfund, Uganda: Evaluation of Tearfund’s Church & Community Mobilisation programme in two districts in Uganda. 48 interviews and 8 focus groups. Carried out by BSDR between Nov 2016 – Jan 2017. You can read the full QuIP report here. Tearfund published their own summary report which you can read here. Tearfund, Bolivia: Evaluation of Tearfund’s Church & Community Mobilisation programme in two districts in Bolivia. 48 interviews and 8 focus groups. Carried out by BSDR between September-November 2018. Tree Aid, Ghana: Evaluation of Tree Aid’s Non Timber Forest Products (NTFP) project on the livelihoods and wellbeing of intended beneficiaries at the household level. 24 interviews and 4 focus groups. Carried out by BSDR between January – February 2017. C&A Foundation, Mexico: Evaluation of C&A Foundation‘s YQYP Programme to improve the working conditions and wellbeing of textile and apparel factories in Central Mexico. Impact assessment and process evaluation. 32 interviews, 4 focus groups and 2 case studies across six textile factories in two states of Mexico. Carried out by BSDR between October 2016 – March 2017. You can view the full report here. Habitat for Humanity International, India: Housing microfinance impact evaluation of Habitat for Humanity‘s MBIND MFI financial products and services project in Southern India. Impact assessment and institutional assessment. 72 interviews and 8 focus groups across two microfinance institutions in Tamil Nadu and Kerala, India. Carried out by BSDR and M-CRIL between September 2016 – April 2017. 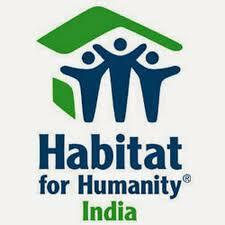 Habitat for Humanity published their own report which you can read here. Save the Children, Tanzania: Evaluation of a Save the Children agriculture and nutrition project aimed at babies and young children in the south of Tanzania. 30 interviews, 4 focus groups and 5 key stakeholder interviews/focus groups with key civil society organisations. Carried out by BSDR between March-May 2017. Save the Children, Ethiopia: Evaluation of an early action intervention to mitigate impacts of predicted poor rains on a drought-affected community in the Somaliland region. 24 interviews, 4 focus groups. Carried out by BSDR between August-November 2017. Seed Global Health, Uganda, Tanzania and Malawi: Evaluation of the Seed Global Health Service Programme, a US Peace Corps programme which supplies health worker volunteers to medical and nursing colleges in Africa. A three country study including 30 interviews and focus groups with leadership team, clinical and faculty staff and students in each country. Carried out by BSDR between June-September 2017. Rutgers International, Kenya: Evaluation of a Rutgers International sexual and reproductive health rights education programme with young people between 15-24 years old. 24 interviews, 4 focus groups. Carried out by BSDR between April-June 2018. Concern Worldwide, Malawi: Evaluation of Concern Worldwide’s Graduation Programme. The Graduation Programme is a multi-dimensional programme that tackles social exclusion, particularly on the basis of gender and social status, as well as increasing the capacity of the extreme poor to develop sustainable livelihoods in the context of increasing vulnerability to climate shocks. 24 interviews, 4 focus groups. Carried out by BSDR between March-May 2018. Voscur, Bristol UK: Evaluation of the services Voscur provide to Bristol’s voluntary, community and social enterprise sector (VCSE) and the wider context affecting their work. 24 organisation interviews. Carried out by BSDR between February-March 2018. You can read a summary blog about the study here. Aga Khan University, Uganda: Evaluation for Aga Khan University of the transition from the new BSc in Midwifery to practice amongst a cohort of graduates. 14 interviews and a WhatsApp group. Carried out by BSDR April-July 2018. MannionDaniels: Evaluation commissioned by Mannion Daniels of the internal organisational changes and external mechanisms which affect the capacity of grantees who successfully graduate to access larger funds as part of the AmplifyChange programme. 24 organisational level interviews. Carried out by BSDR November-December 2018. Send a Cow, Ethiopia: Evaluation of Send a Cow‘s Sustainable Agriculture and Rural Opportunities programme in Southern Ethiopia. 36 interviews and 6 focus groups conducted across three kebeles. Carried out by BSDR between Dec 2018-Jan 2019. Itad, Nepal: Four QuIP studies commissioned by Itad to evaluate different elements of the DFID Samarth programme, focusing on dairy, pig, ginger and vegetable farming. 24 interviews and 4 focus groups (x 4 studies). Carried out by BSDR between September-December 2018.